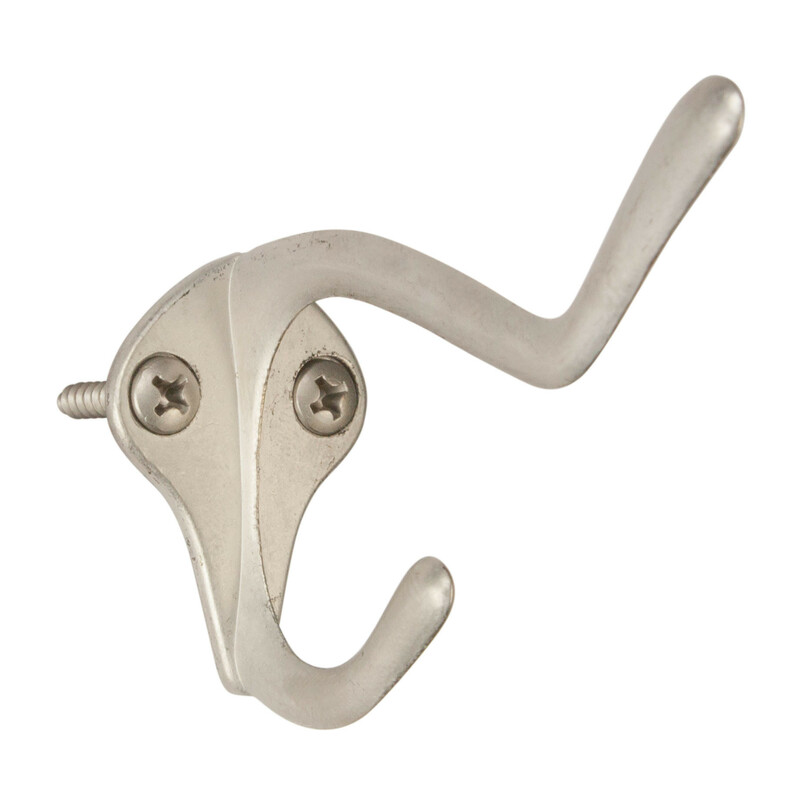 Coat and hat hook zinc die cast finish is satin nickel plated. Poly bag. Round corners reduce clothing tears.